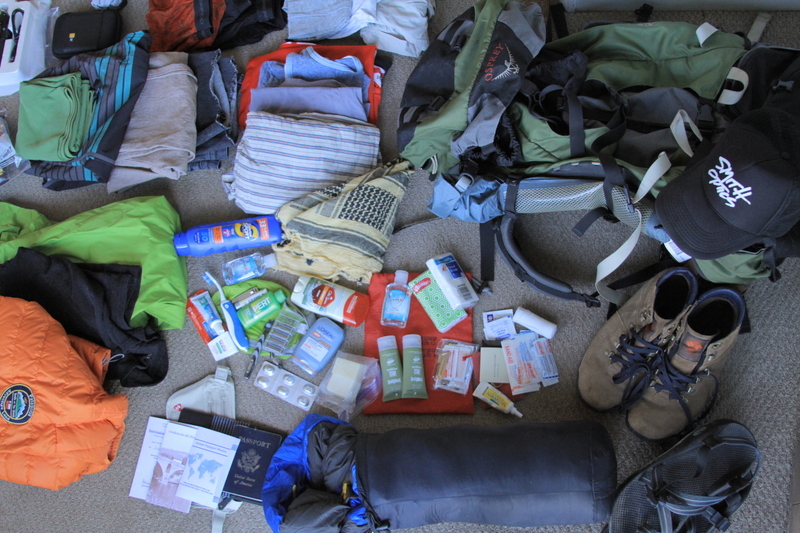 Preparation #1: Buy a lot of stuff so you can live simply as a pilgrim in Spain. Ha. I would love to say that my life is reflective of a pilgrims’ and that this upcoming 20 day trek along the Camino de Santiago will just be an extension of my already simple life. This is not true. In fact I have recently discovered that my earthly possessions no longer fit nicely in the back of my truck, but instead fill a friends entire basement! My husband Jon and I have been co-student ministry directors at Mountain Life Church in Park City Utah for the entirety of our married life, three years. It has been an incredible season and as it closes I am reminded more and more of the amazing support and provision we have recieved here and I am truly grateful. Working together and starting out our married life all at the same time was not a recipe for simplicity or, nor hugely helpful for honing a practice daily intentional living. Tomorrow, June 15th, is our last Sunday at Mountain Life Church as directors and we are stepping out into the great unknown! 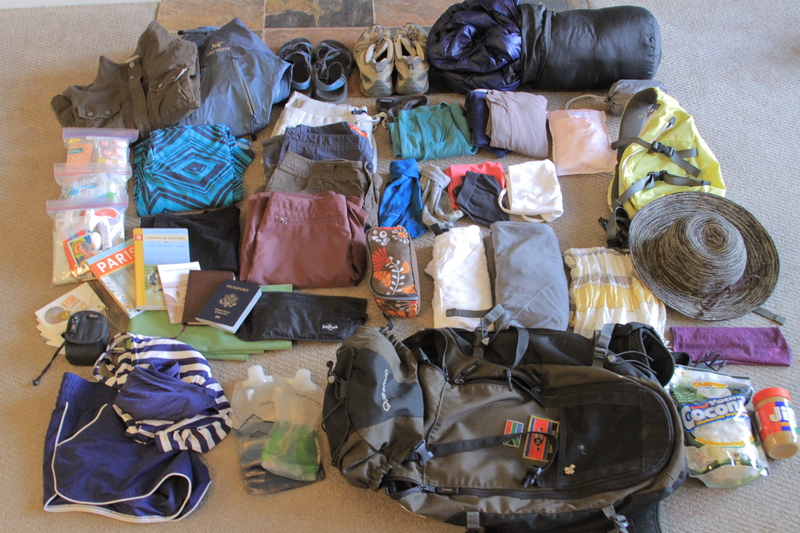 To commemorate it we are packing up our backpacks and setting off on a 2-month pilgrimage through Spain. We are hoping the pilgrim lifestyle of walking everywhere, relying on the hospitality of others, and enjoying space to think and be will stir in us a longing to translate these habits into our “normal” lives. We are also wanting a season to reset, to remember what it means to hang out and not discuss work, to just be married. We are setting out for a journey of a lifetime! Two months, five countries, a sourdough starter to share bread with new friends, a journal to reflect on what’s important, and each other. I am overjoyed at this opportunity and know how lucky I am to have it before me. We have prepared for this pilgrimage by frantically moving out of our house, quitting our jobs, saying goodbye to close friends, and spending too much money on the “right” gear. Let’s hope the journey itself proves to satisfy the longing in our heart to be still and content more than the preparation has. Our friend Jon Luu made us a homemade “Bread in the Brain” backpack piñata for our going-away-party! Jon is an incredible artisan sourdough bread baker and a few weeks back our friend Janice offered Jon a portion of her 100 year old sourdough starter. This spurred on an idea that seems perfect to our style of travel. Why not backpack and bake across Spain! 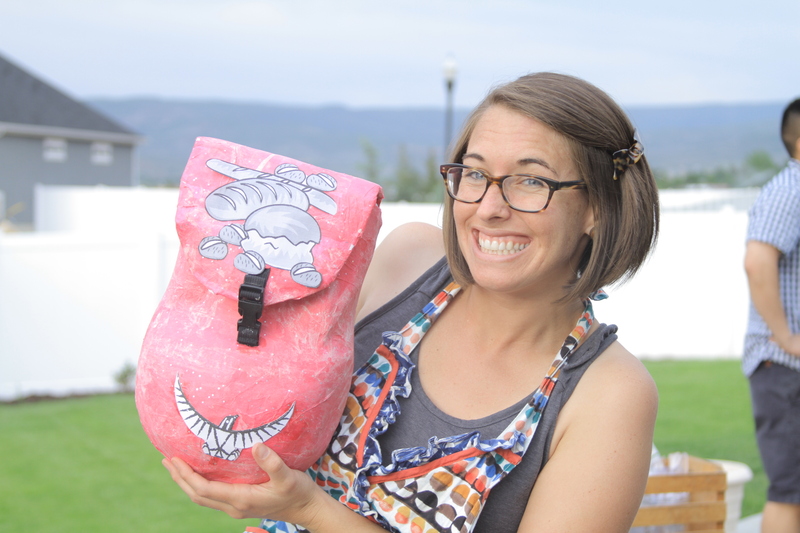 The sourdough loaf can rise in the “brain” of our backpacks and we can bake it for fellow travelers on our journey. We can offer more than just compensation to our host, we can reciprocate hospitality with something to bring to the table. 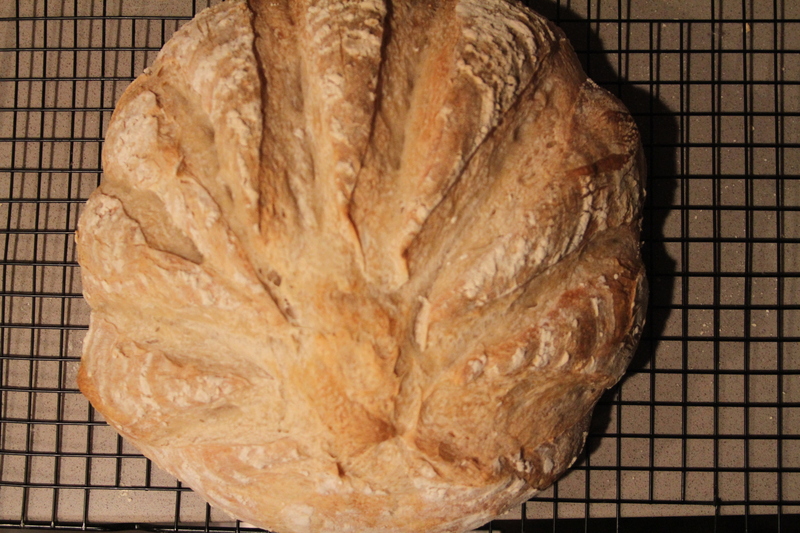 We call it the “Bread in the Brain in Spain” project and we are so excited to see what results from a desire to share ourselves and our bread with others. Practicing the “Camino” scallop shell scoring. Going on a pilgrimage is a great metaphor for life. What are we unnecessarily carrying around and why? Every item has to be carefully scrutinized in order to determine it’s worth in weight, otherwise we are just carrying it as a precaution, a backup, distracting us from the walk itself. Choosing what to bring has been a long, hard process. This African proverb keeps ringing in my ear: “From contentment with little comes happiness”. What is worth carrying for two months on our backs? Posted in Packing Party, Preparing to leave.Bookmark the permalink.